Hey folks, I just thought I'd pick everyone's collective brains for a possible solution or a method I haven't tried. Basically, I had a long-time EECH 1.16.0 install running with few problems, but I wanted to get things updated and restore the Hokum needles - so I did a clean merged install with EEAH+EECH and 1.16.0 FIX 1... and that's where my problems started. Saved games in campaigns, at least those made past a few minutes into a campaign, also fail to load and cause the game to crash. Crashes still come back to that pattern, no matter how many times I reinstall. The 1.16.0 installer checksum is fine, and the game installer(s) comes fresh off of GoG. Everything was okay before - I played through a Georgia campaign with my old 1.16.0 install (which dated back to the original release, pre FIX I think?) and had maybe 2 game crashes in total in 20 hours of the campaign. Now I can't get past about 20 minutes into the game, regardless of which theater or campaign I pick. Any suggestions I should try? Any ideas would be appreciated - I was getting into a great groove with EECH and now suddenly I can't play it! That's frustrating. I looked in the code and that module has to do with buildings, all different types, as loaded from a scenery database. It's related to a building which is an invalid target, which might mean an error in the mission map objects? I'm guessing here because I haven't ever dug into the scenery part of the code. The file path indicates an error while running the Hover Mods exe, so you might try running the regular 1.16.0 exe instead. I see you've already tried that, though. I don't have the GoG installer and mine doesn't crash, so maybe it has something to do with the GoG version of the maps. I have an original game CD. If nothing else works, I could zip the entire EECH directory on my machine and set up a temporary download. PM me if you want to try that. Are you using the airfields mod? I'm just wondering if might be something to do with the new buildings that were added. Although I'm not sure if they're just 3D objects, or if there's any code for them. The one error I had a few months ago after a new install had to do with the Havoc helicopter (referring back to your initial observations). After I installed the 'Mi-28 Working Instrument Needles' Mod everything worked. You might try that first. Last edited by Javelin; 09/03/18 04:16 PM. Thanks folks, I'll try with just the 1.16, the Mi-28 gauges fix and no airfields mod - although I know for a fact that I previously had the airfields mod as well (it could have been an older version of it, though). I was already not installing EEAH (only EECH), so that's not it either. Failing that, I'll zip it up and see if you can make any sense of it Javelin - thanks for the suggestions, though! So my attempt to run the 1.16.1 Havoc fix was... interesting! Last edited by CCIP; 09/03/18 09:18 PM. Ahhh, I think I figured out what I did wrong! In my last round of testing, I may have messed it up by first installing the game without the airfields mod, getting an unrelated crash, and then installing the airfields mod on top of an existing install instead of a fresh install. That would explain why it may have had conflicting entires for buildings in scenery DBs. I'll have to do a little more testing, but I'm 90% sure that's it. If so, phew! Also, I just noticed - in the debug logs, it keeps referring to D:\ and F:\ drives, neither of which I have. Is that normal? I assumed that those were just virtual drives that the game was using, but thought that maybe something was getting thrown off since I was installing it on drives U:\ or Y:\ originally. I'm gonna try one more time with a fresh install on C:\ (which is normally just my OS partition) to see if that does anything. Hmm, well, I'm still having the campaign save loading problem when using either 1.16.0 or 1.16.10 plus the airfields mod. It seemed like it was gone when I got rid of the airfields mod. I'm gonna play it safe and just do a clean install without the airfields mod, though. Would you happen to know if the airfields mod affects campaign compatibility? As in, could it be that some/most campaigns don't work because they were built without the airfields mod, and that's what's throwing off the game in the first place? Last edited by CCIP; 09/03/18 10:50 PM. Well, I think I've managed to get it resolved - running 1.16.10 hover mods without the airfields mod installed. I'm not sure if it was those, or something I messed up in the process of my repeated reinstalls, but I'm just gonna leave it as is. Saves are loading, and I'm not getting those in-mission crashes. On the debug logs, the error message has different drives depending upon which computer the code was compiled on. My computer is the F: file path for the Hover Mods exe. I'm glad you've gotten it figured out. It sounds like the Airfield Mod install created the conflict in the buildings database. I can't remember if I installed that one or not. Last edited by Javelin; 09/04/18 04:46 AM. 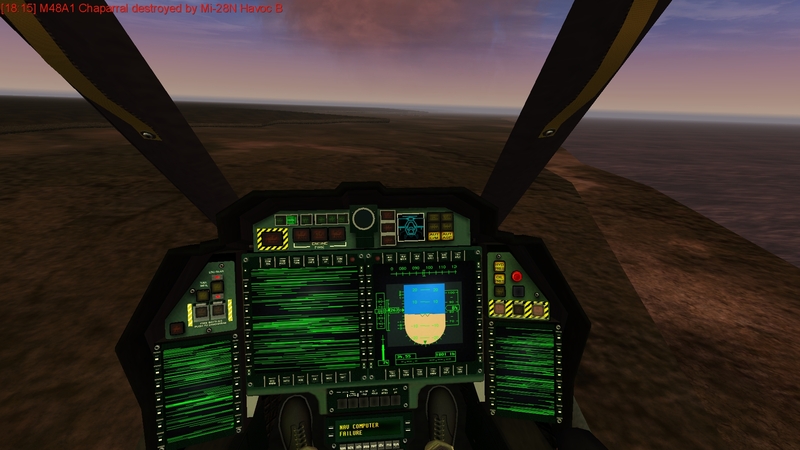 I've played a campiagn with the Airfields mod installed, and not had any issues. It might be how you installed it. You can create a copy of your full EECH folder, then if something goes wrong, you can revert to it. You'll just need to copy over the saves first so you don't lose progress. Last edited by CCIP; 09/06/18 02:54 AM. Saves work fine, and for now I'll just bump up my auto-save to save every 10 minutes - but I'll zip up and PM my install to you, Javelin, just in case you can find something in it - I've been using the 1.16.10 exe, not sure if it may be something related to the hover mods or not. And then just like that - flew for another 2 hours without a crash. Odd, this! I wonder if it's just a fluke of some sort, or the game not liking the particular campaign I'm playing/amount of activity. Either way, I guess it's something worth looking into just in case! Last edited by CCIP; 09/09/18 04:55 AM. Hi CCIP, I flew your install around on Alt-Hold for a couple of hours with no problems. I think your problem may be related to a driver or operating system conflict, not your EECH install. The intermittent nature may point to something your computer is doing in the background, like checking for email or getting an update off the internet. What OS are you running? I run Windows-7, I refuse to put Windows-10 on my home machine because of all the uncontrolled communications going on in the background with Microsoft. I have the same debug_log comment you've gotten listed three times in the debug_log.txt file for your install on my machine and it hasn't crashed at all. The debug log doesn't necessarily tell you what caused the crash, it makes comments when it hits portions of the code that are not usually accessed, code that is actually still functioning. The comment you've seen in the debug log occurs when you target a specific building, one that has no importance to the progress of the battle. It may not have anything to do with why the sim crashed. Last edited by Javelin; 09/09/18 06:58 PM. Yeah, I'm starting to suspect it may be a driver or even a hardware thing - I also refuse to put in Win 10 and run Windows 7, but I've been having some suspicions lately that maybe it's something in the drivers or just bad memory somewhere. I know my RAM is okay, so perhaps something with the video card. I'll do a driver update soon and see if it helps (I'm always reluctant to jump to latest drivers because they often break my performance in older games, but this might be a good time). Will keep an eye on it in the meantime and see if a pattern develops again. Thanks very much for taking a look at it!